is a non-profit trade association that promotes training, certification and professionalism for designers, builders and suppliers in the Kitchen and Bath Industry. The NKBA offers the tools and resources to support businesses and their growth through a global network of professionals. Make It Home Ltd is proud to be a member of the Canadian Home Builders Association (CHBA), a global leader in residential construction expertise and technology. Members are often recognized for their innovation and workmanship and continue to improve through training and certification opportunities. The MHBA (Manitoba Home Builders’ Association) and its Master Renovator designation allows renovators to demonstrate compliance through a third party. As a Master Renovator, Make It Home is committed to continuing its education through prescribed building and business courses, and surpassing the minimum hours required annually to maintain the Master Renovation designation. A Master Renovator designation requires at least one CHP (Certified Housing Professional) is employed by the MHBA member. A CHP has a minimum of five years experience in the housing industry and must complete eight hours of professional development. The BBB mission is to be the leader in promoting marketplace trust and integrity. It sets and monitors standards as well as evaluating business behaviour, so consumers can make informed choices.  Make It Home is a proud to be a member of the Manitoba Home Builders Association(MHBA), the voice of the Residential Construction Industry. The MHBA keeps members up to date on the latest construction innovations and government regulations. The MHBA also affords its members cutting edge training and certifications, insuring standards of workmanship and ethics are upheld.